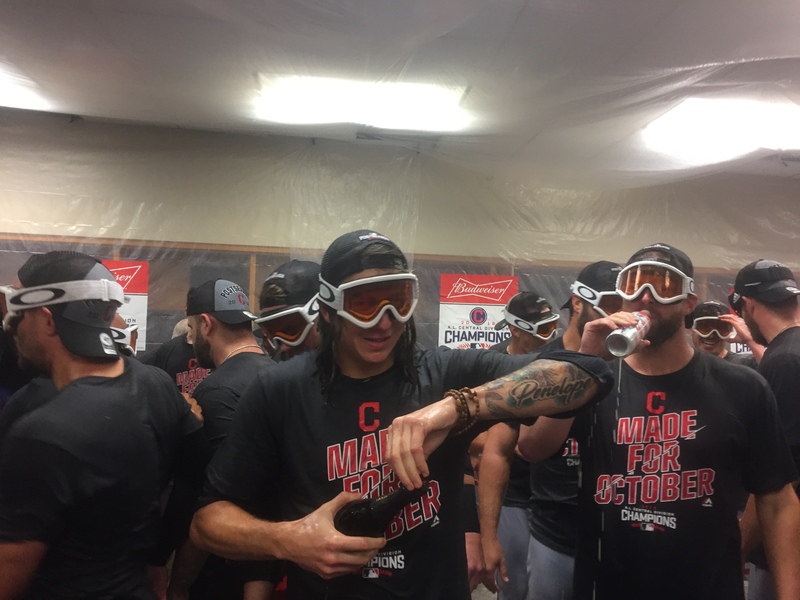 DETROIT – Indians pitcher Trevor Bauer had a blast on Monday night as the Indians won the American League Central in Comerica Park. Bauer today put up some amazing video that looks professionally produced, about 20 minutes worth of not only the final out on the field, but also all the fun inside the locker room. For sure worth 20 minutes of your life if you’re an Indians fan.